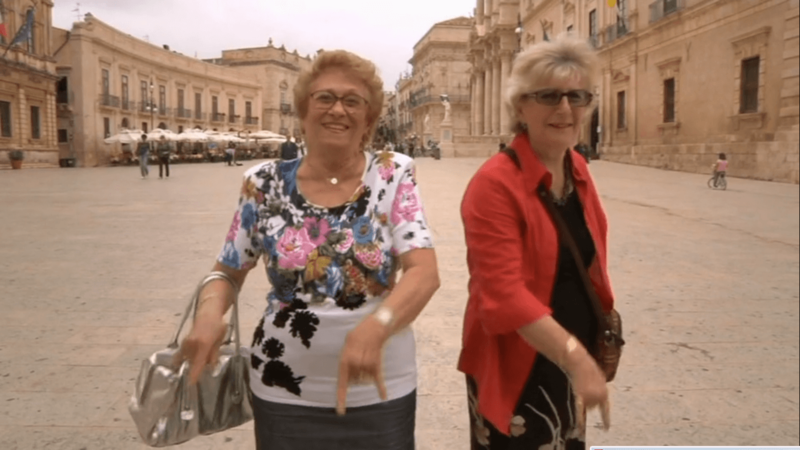 A funny, fantastic but also an educational journey through the typical Sicilian body language. The Sicilians are famous all over the world, among other things, for this very peculiar way of accompanying every word, conversation or greeting with gestures, facial expressions, and body movements. The narrative of the film originates from an old legend found amongst the notes of renowned Italian folklorist Giuseppe Pitrè, and it focuses in particular on the non-verbal communication strategies enacted by the veritable masters of the art of ‘speaking with the body’ – the Sicilians. To guide the audience in this journey, the trio of actors Evelyn Fama’, Rosario Petyx and Vincenzo Volo as well as well known personalities from the Italian theatre scene such as Pippo Baudo, Emma Dante, Mimmo Cuticchio, Lucia Sardo, Salvo La Rosa. Last but not least, the score includes pieces by bands such as Agricantus, Tinturia, and Ipercussonici. The voice of the body aims to create a deeper understanding of this unique form of communication. The film was recognized as a Film d’Essai by the Italian Ministry of Culture, it was part of the Schermi di Qualità scheme to promote Italian cinema, and continues to be shown worldwide in festivals etc.